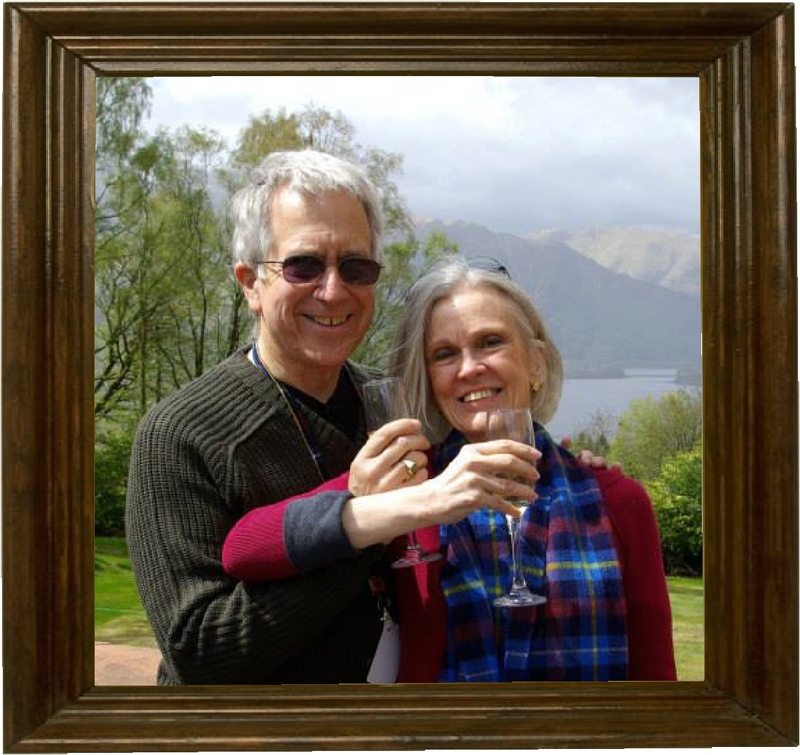 This seemed like a good day for something from a warmer climate. 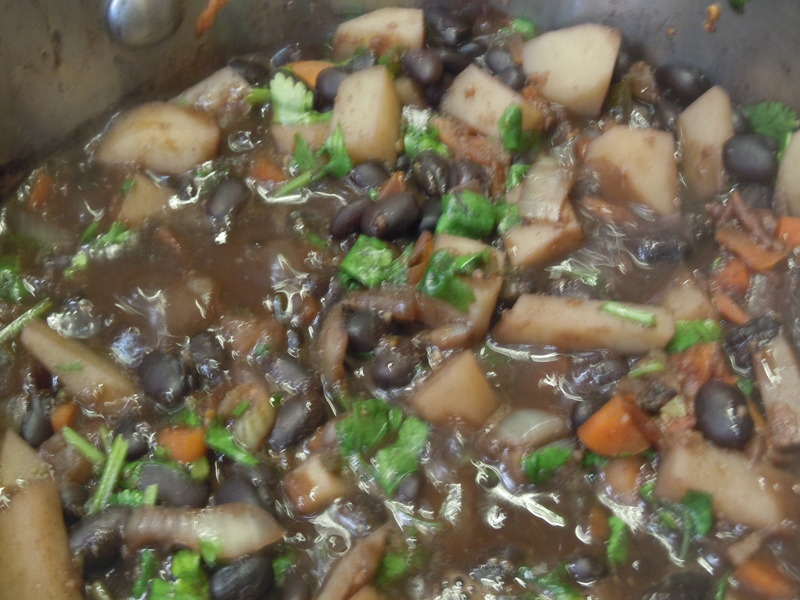 Last night we had black bean and potato soup, which was really very good. So I thought we might have bean tamales tonight. But, since I couldn’t get out to the market to find corn husks, and I wasn’t so sure about the technique required for using parchment paper, I decided to steam the whole dish. 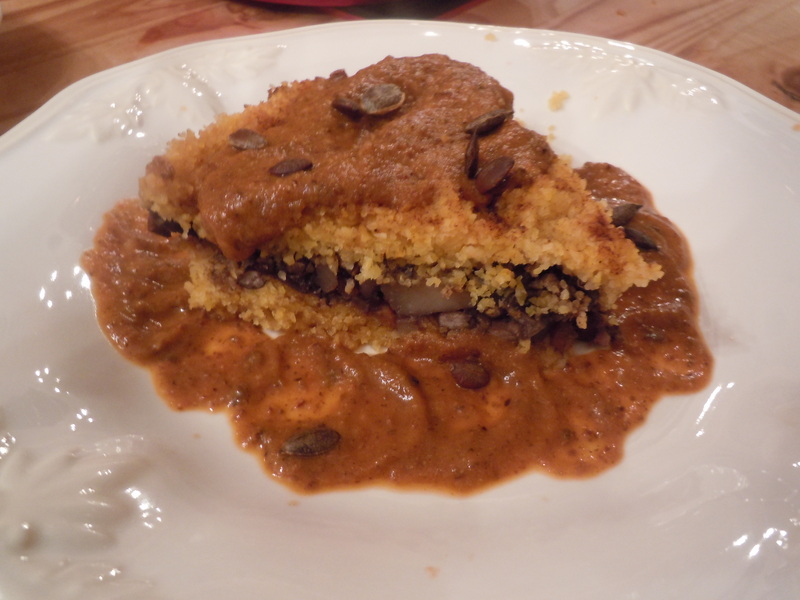 The result was a tamale pie which was really very good, and a pumpkin and green chili sauce which was Excellent! 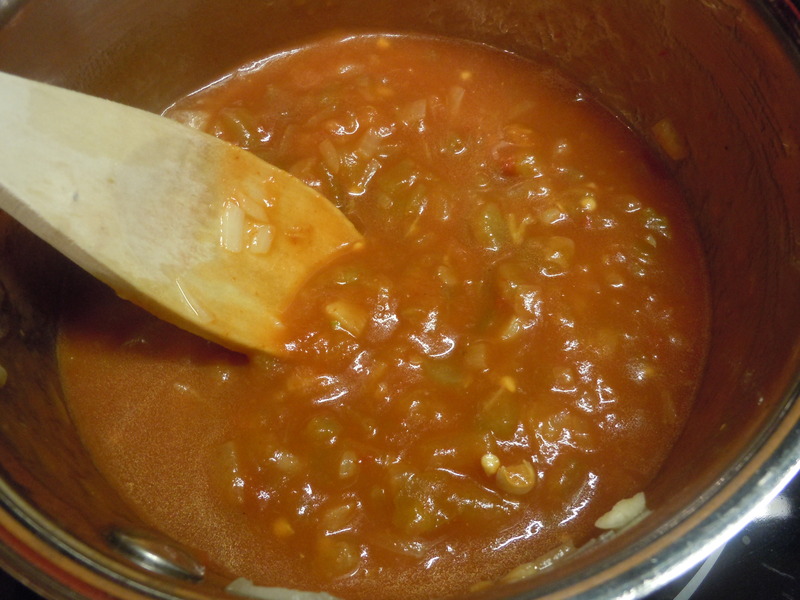 The sauce would work well with any number of vegetable or grain dishes. 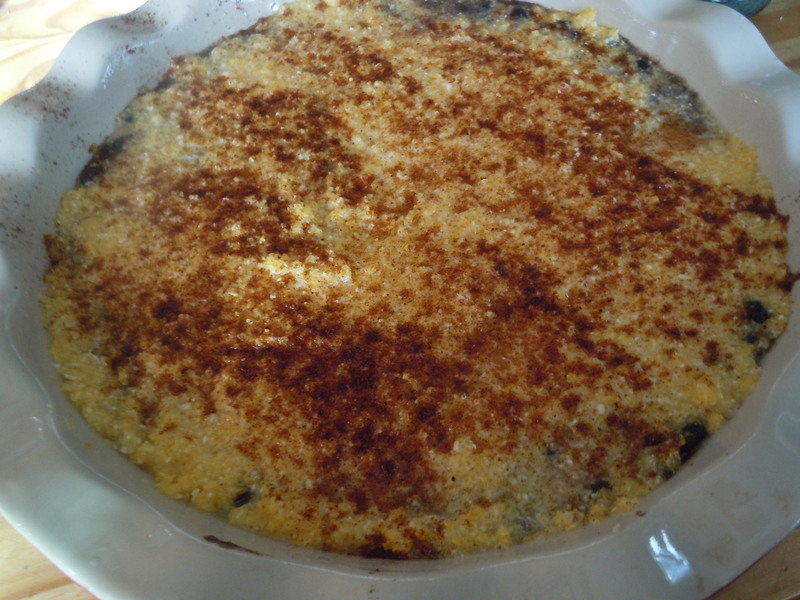 Combine the cornmeal, baking powder, and salt. Stir in the oil. Slowly add the water stirring to form a soft dough. Spread ½ the dough in an oiled pie pan. 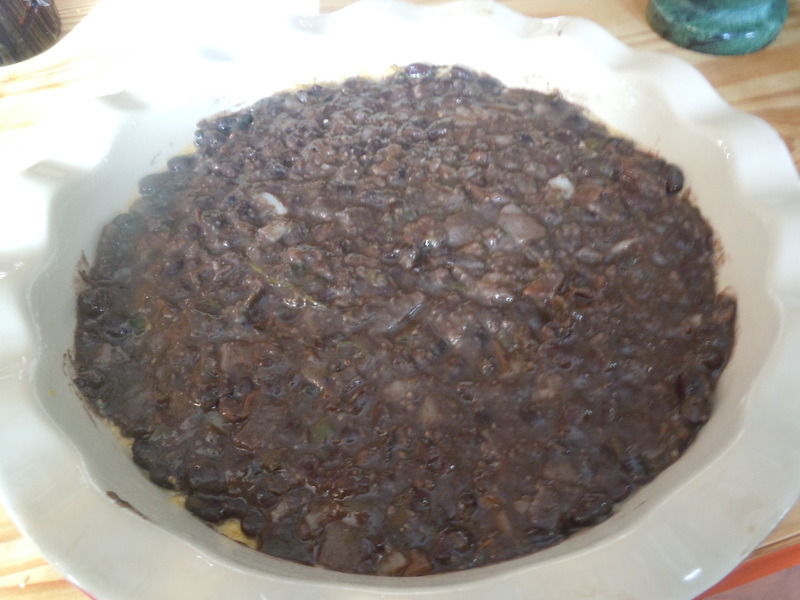 Spoon the black bean mixture over the dough. Drop the remaining dough by spoonful over the beans. 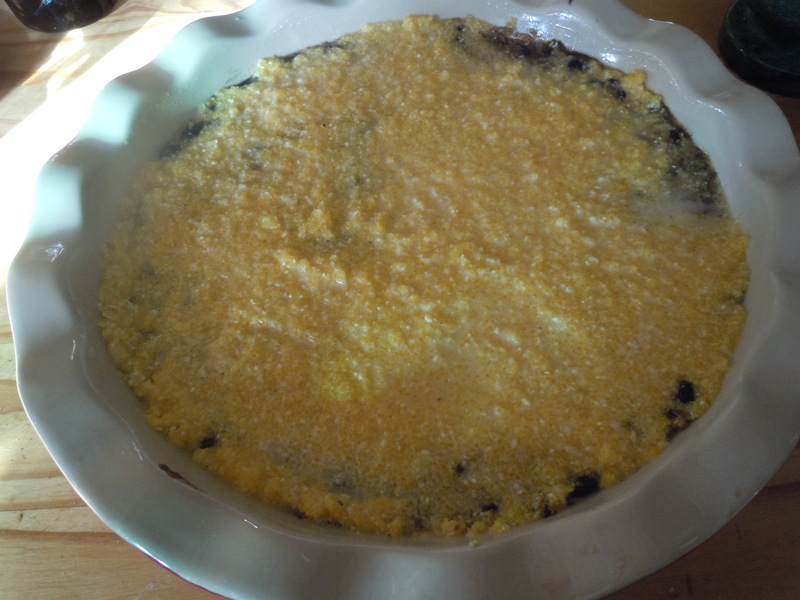 Using the back of the spoon, smooth the cornmeal mixture to cover the beans. 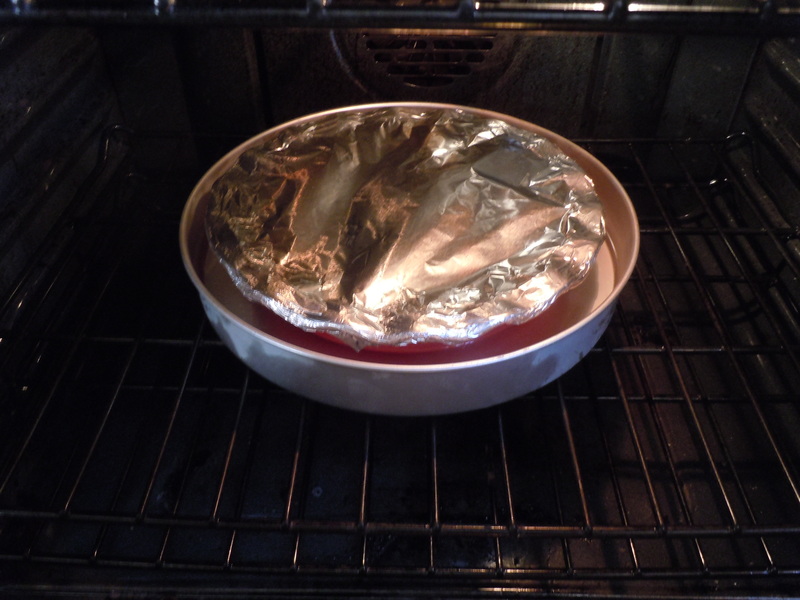 Tightly seal the pie pan with aluminum foil. 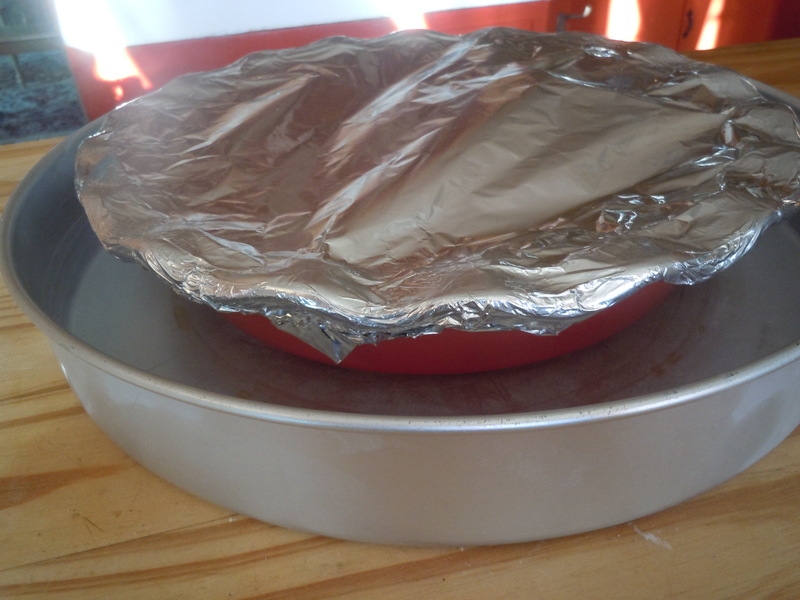 Place the pie pan into a larger pan or baking dish. Add boiling water to a depth of halfway up the side of the pie pan. Bake/Steam in a slow (275 F.) oven for up to two hours, adding more water as necessary to keep the pie steaming. 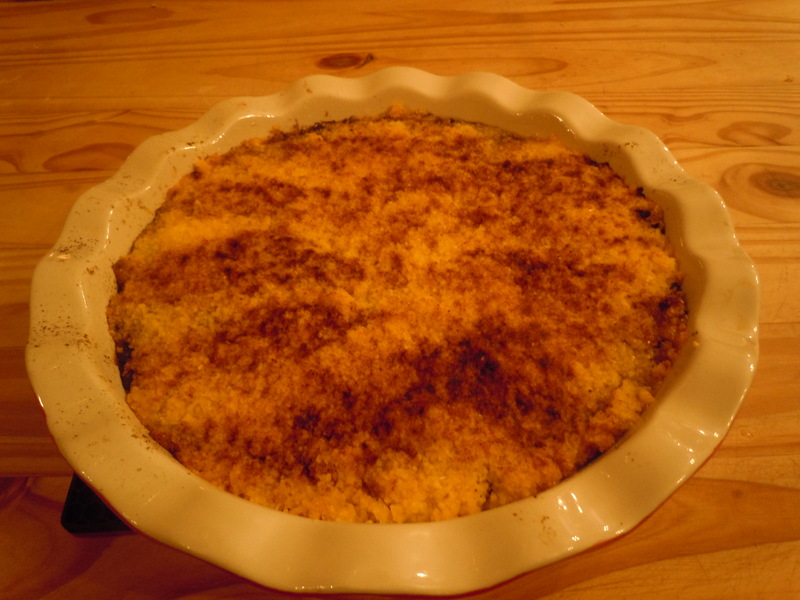 Remove from the oven, and let rest for 5-10 minutes before uncovering and slicing. 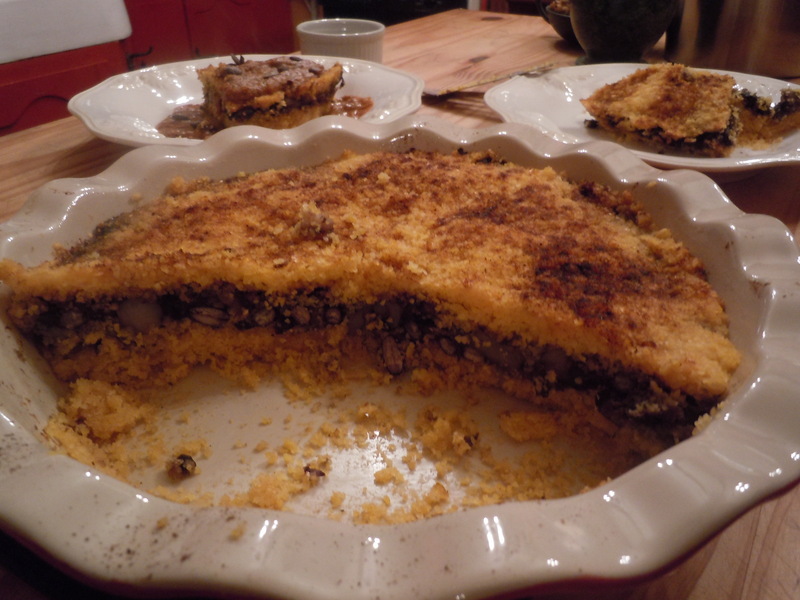 Serve with Pumpkin Seed Sauce, and garnish with toasted pumpkin seeds. 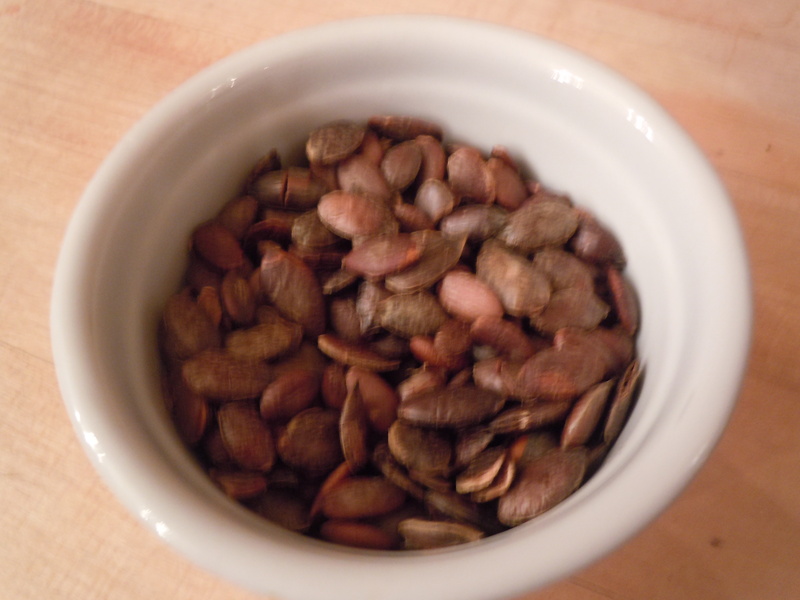 Toast the pumpkin seeds at 325 for 10-12 minutes. Cool. Reserve 2 tbsp. 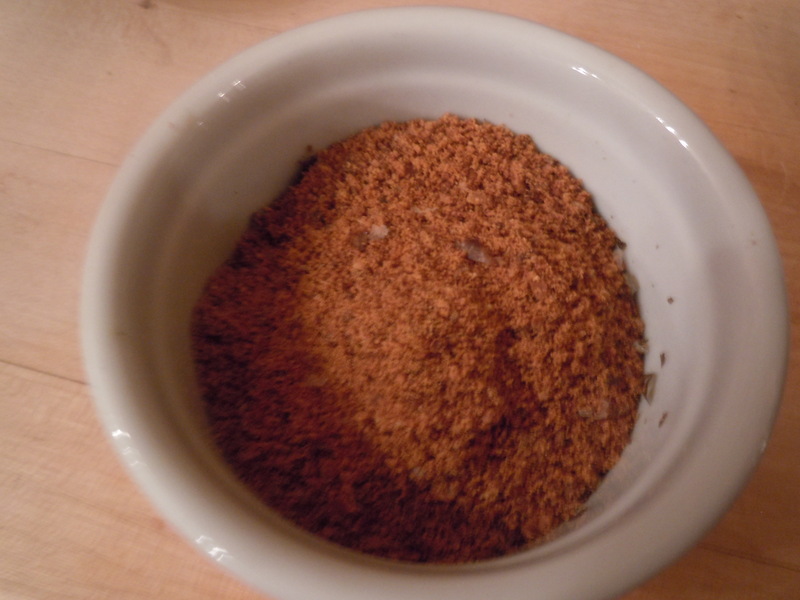 of the toasted seeds and grind the remainder. Saute the onion and garlic in the olive oil until translucent. Add the green chilis, tomato paste, and water. Stir to combine. Add the olives, chili powder, cumin, salt and red pepper. Bring to a simmer. 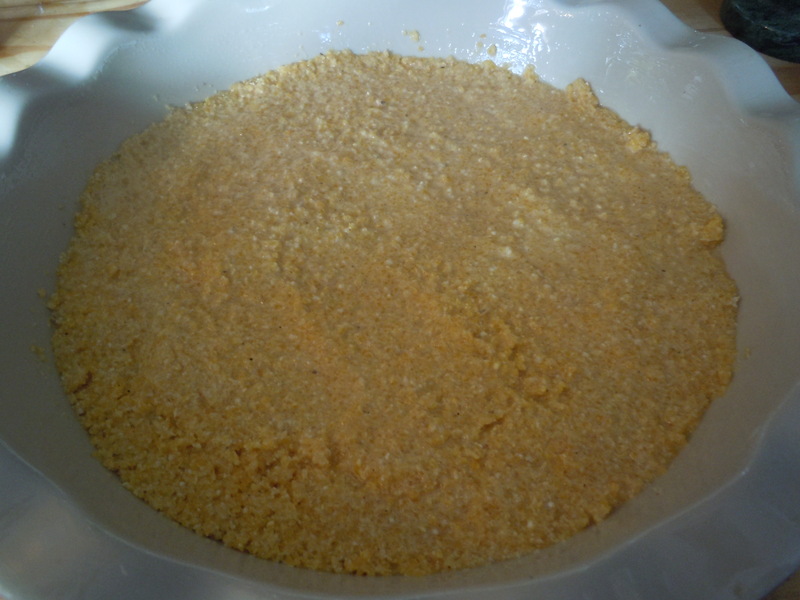 Transfer the contents to a blender and puree. Stir in the reserved pumpkin seeds and keep warm.